If you’re in a search of the best solution to manage all your movie related aspects under the single roof- like Netflix, Flickchart, FilmCrave, then this blog will help out in all the best possible ways. Yes, today in this blog we’re going to discuss some of the best PHP Scripts are very popular in the market today. By using one of these PHP Movie scripts into your website you can easily provide all the essential information about movies & TV shows to your customers. They are so advanced that they will allow you to automatically attach the movies into your site and later your user can fetch the details of multiple movies & TV shows in a short while. They can also give you an access to upload and downloads the movies with their subtitles and even you can define images & sound quality of those movies as well. Not just this, you can also get in the abundance of advertisement section where you can advertise your upcoming movie’s & TV show’s trailer. So, these are some basic introduction of the overall blog. I would suggest you read all these products on this blog for a once. 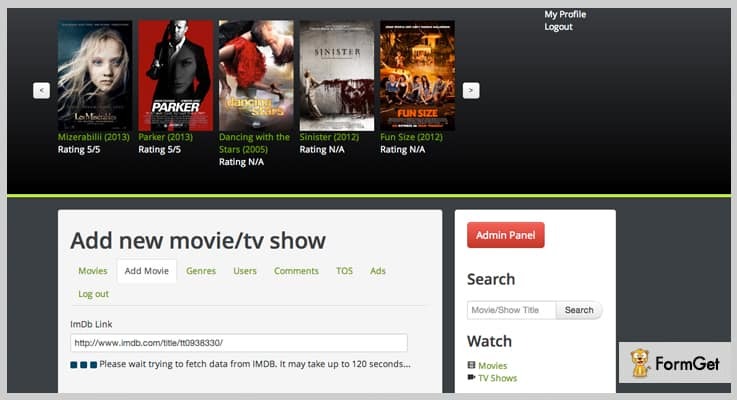 MTDb is a fully automated movie database PHP script which can easily implement into your site with just a simple click. By embedding this into your site you will be able to create your own fully functional movies & TV shows site within a minute. This will help you to create multiple pages into your website like movies, tv shows page, famous personalities etc for a better user experience. You can organize the overall service of your website into their categorized form for eg. movie, series, news, music and more. It comes with a movie suggestion option which helps your user to provide more than 2 related option of the movie which they are looking for. 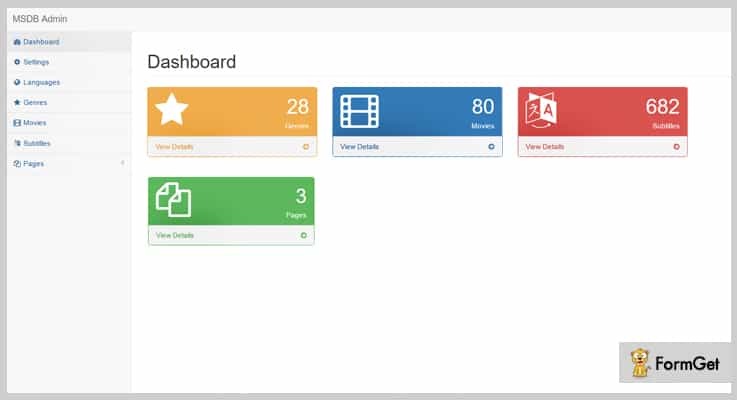 On its dashboard, you can find a various section which you will need to see like media section, titles, and ads section. It comes with a powerful filtering menu such as most viewed, top rated, new & upcoming movies which helped your customer to find the exact movie. Just pay $31 and get all the above attributes of this product along with 6-months support system. Ovoo is the most powerful and flexible PHP script which helps in the automatic import of various movies & TV series from IMDB. It is easy to install and has been created to provide a unique experience to the movie lover or movie site owners. Using the product on your site you can allow your visitors to watch the live movies or videos from any device. Moreover, this product provides you a complete video tutorial which guides you to embed this script into your site. The product allows you to insert unlimited TV series & episodes on your site. It gives you an opportunity to upload self-hosted videos so you no need to require another server to upload videos. The product contains an ad management system where you can promote the movie’s trailer, TV series trailer and more. 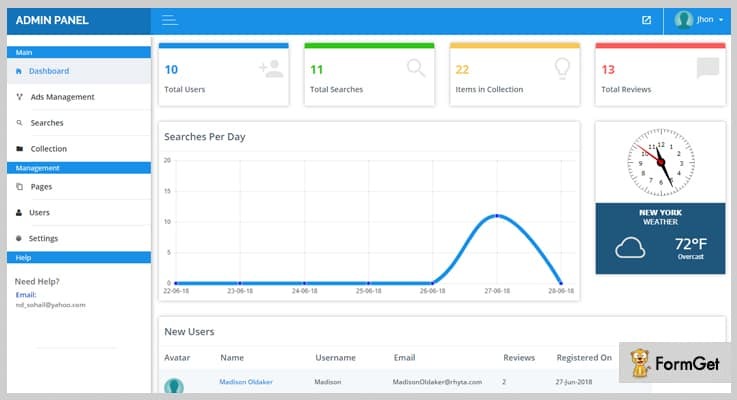 There is an advanced search option with which your customer can easily find the movies or TV series according to the year of release. It is built in movie scrapper which helps the customer to fetch the information of multiple movies from their title. You can get this most affordable product at only $39 only. 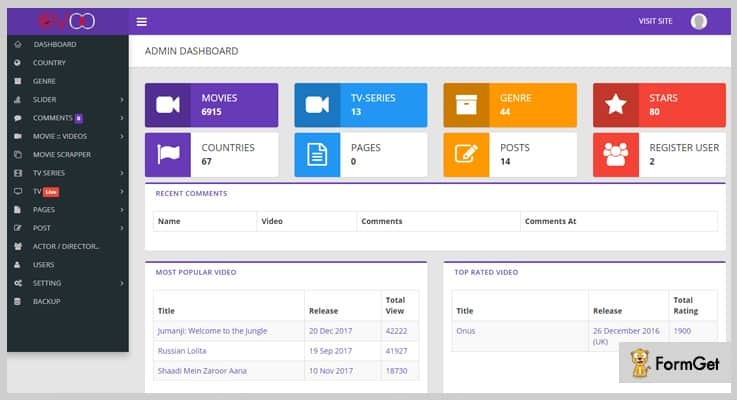 Gold Movies is an ultra-responsive movie script which can easily get embed into your site and enables you to add movies, TV shows, episodes manually from the admin panel. It contains an awesome popular movie page along with powerful filter mode where your user can search the movies & shows easily. 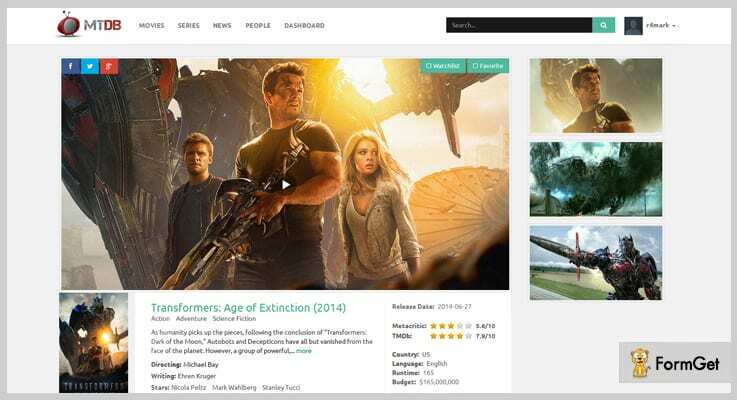 Even the script allows you to create a more successful movie database website with many advertising spaces so you can also promote the upcoming movie’s trailer and TV shows.. It comes with a flexible movie genres option in which the user can easily find the movies of their choice like comedy, melodrama, adventures etc. You can categorize the movie into multiple sections such as a popular movie, trending now, and movie trailer. It has a double sidebar menu which makes your website more perfect & appropriate in look wise. Your user can check movie according to their title, rating or yearly wise. Get all the above-listed features of this product at $22 only. The most wanted movie database platform in the market is PHP Watch Movies Script which enables you to run your own movie & TV shows website. By using the script in your site you can also define reviews, titles, image & sound quality of movies & series. It is built with great Twitter Bootstrap & CodeIgniter PHP MVC framework which hit the design & development of your website. Also, it makes your website easier & faster. It allows your registered members to build up their own movies & tv shows playlist into your website. 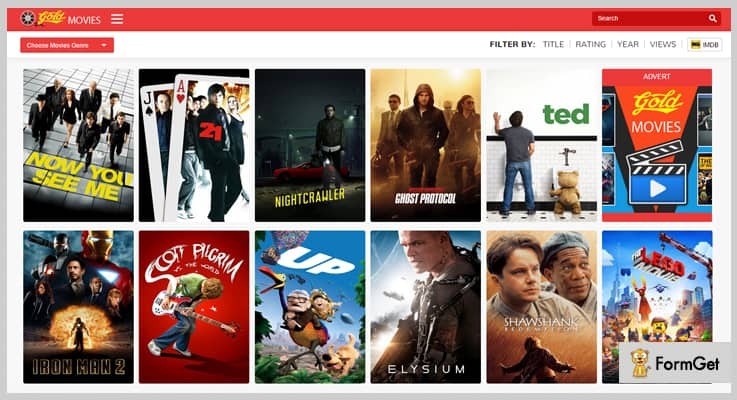 You can place the movies & TV shows in a nice slider/carousel section on your website. The product comes with an AJAX Start Rating System with which your users can rate them from 1 to 5 stars according to their opinion. You can inject ad code for movies/tv shows which appears before your movie going to start. At $26, you will get all its necessary attributes which are listed above along with various advanced features. SMDB is the top class movie database PHP script which comes with a multitude of extensive metadata for movies, TV shows & people along with the best selection of posters and images. It only takes a short while to create fully functional movies & TV shows site without any coding skills. You can use this script as a CMS which allow you to edit the content of your movie database anytime. This product contains user wishlist where you user can save their most favorite movies for later watch. It provides a section where you can manage the overall movie, TV & celebrities details. For all the above features & functionalities you need to pay $30 only. By using this script you can easily upload and downloads the movies with their subtitles. You can easily customize your website with anything you want as this product is developed on Laravel Framework. It enables you to categorize the genres in different categories such as action, adult, adventure, crime comedy etc. MSDB comes with a feature of ad management so that you can easily promote your videos, movies, or TV series. Your user can see clearly the movie release date, director’s name, ratings etc. A customer can easily select subtitles according to their requirement. Pay $20 and enjoy all its features & functionalities unlimited. We are at the end part of this blog Best Movie Database PHP Script. These products are completely responsive, fully flexible and cost-effective which really comes under your budget. So, I would suggest you try these products for a once and share your experience & thought with us via a comment section.